We are happy to announce the opening of our new EVOIC (Electric Vehicles Open Innovation Center) in Shijiazhuang, Hebei and our first program there to bridge the global makers and entrepreneurs to the exciting open innovation ecosystem for LSEV (Low Speed Electric Vehicles). 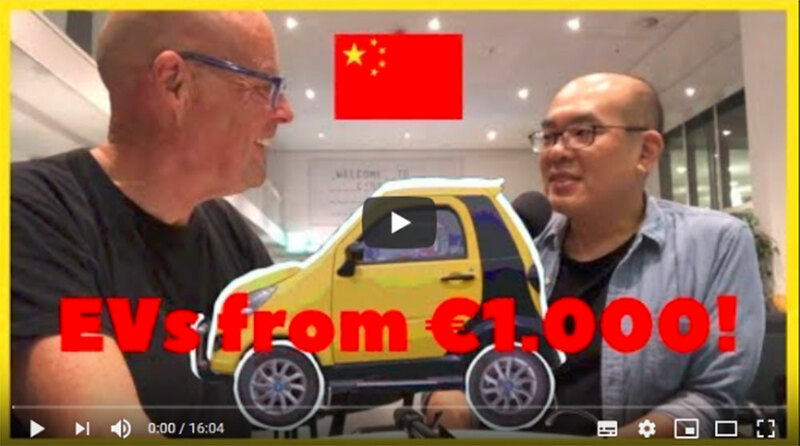 ‘Unlike the NEV (New Energy Vehicles) from China that are getting all the attention, the LSEV emerged out of the needs for local cost transportation in the third and forth tier cities and rural area in Hebei and Shandong. Even without any government subsidies, the growth of LSEV was faster than NEV. In 2018, the estimated shipment of the LSEV was 1.8 millions units. Recently, Clayton Christensen, the rennoted Harvard Professor on Innovation called LSEV the next big disruptive innovation. On behalf of EVOIC in collaboration with Shenzhen Open Innovation Lab (SZOIL) and Hebei Industrial Design Innovation Center (HIDC) we are excited to invite you to the Low Speed Electric Vehicles (LSEV) Bootcamp in April 8-12 in Shijiazhuan, Hebei. In this 5 days event, we will explore the open ecosystem of LSEV in Hebei and experience the first hand the design, engineering, production and deployment of LSEV. 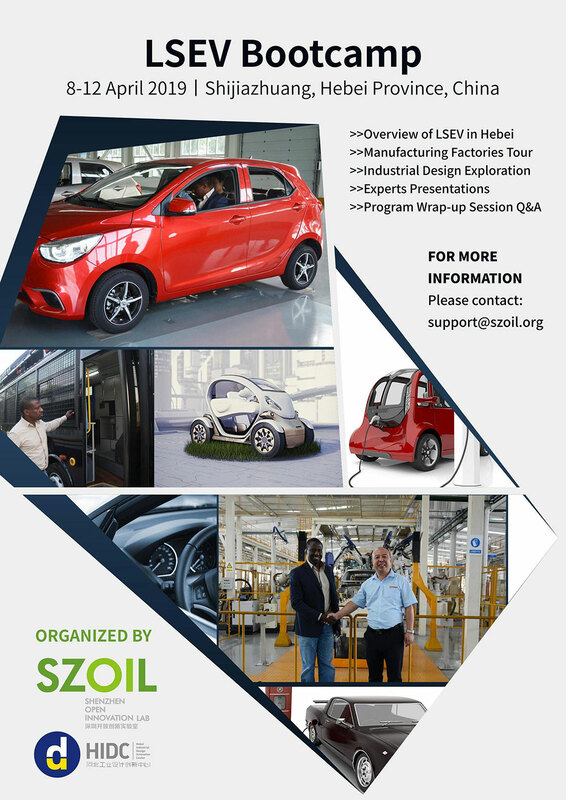 The LSEV Bootcamp, developed by the Shenzhen Open Innovation Lab (SZOIL) in partnership with the Hebei Industrial Design Center (HIDC), is a five-day package that allows you to explore the open innovation culture in this respective industry of electric vehicles (EV). A two-day workshop on how to capture LSEV opportunities, with experts from design, engineering and production. We are looking forward to seeing you through the LSEV Bootcamp. If you have any questions or concerns regarding the program, please do not hesitate to email us at.